Those in North America eagerly awaiting Skull Kid’s return can rejoice, with Nintendo of America having today revealed plans to release The Legend of Zelda: Majora’s Mask 3D Limited Edition. 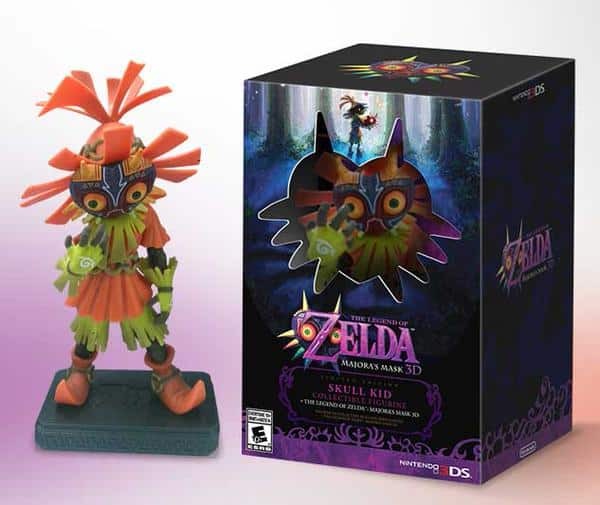 With contents differing from the Special Edition revealed for Europe last November, fans will instead find a copy of the Nintendo 3DS exclusive remake and a collectible Skull Kid figurine. This will retail for $49.99 at select retailers, with a release date still yet to be announced. In comparison, the contents of Europe’s Special Edition are a SteelBook, Majora’s Mask pin badge, and a double-sided poster.